The SIkhi Parchar Academy (SPA) was set up to share the teachings of the Guru Granth Sahib with the sangat of Singapore. Guru Ramdas ji used imagery to show us that Waheguru is all pervading, and that it is through the Guru Granth Sahib that we are enlightened on how to live in this world and liberate ourselves. 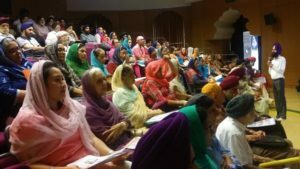 Through the delivery of Gurbani explanation and Sikhism courses both at the Sikh Centre as well as Gurdwaras, the Academy promotes the exploration and deeper examination of the treasure trove that is the Guru Granth Sahib. 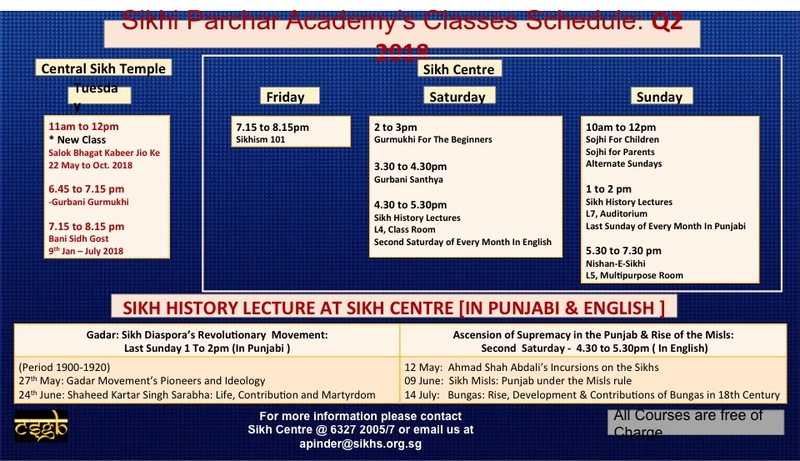 All the courses are conducted at Central Sikh Temple or Sikh Centre. Anyone who is interested is most welcome to attend.